The Steller's jay has a dark blue body, usually with very few markings. Its colour deepens to black at the head. There may be white above the eye and stripes running away from the beak, up the head and down the throat. Birds from Haida Gwaii comprise the subspecies carlottae, and have nearly entirely black upper bodies. The Steller's jay is a large bird, reaching 30 cm long. This bird can be found in numerous habitats, from forests and parks to backyards and campgrounds. Its range stretches along the Pacific Coast from northern BC to south to California, and inland south to Central America. It does not migrate, and is present in these regions year-round. 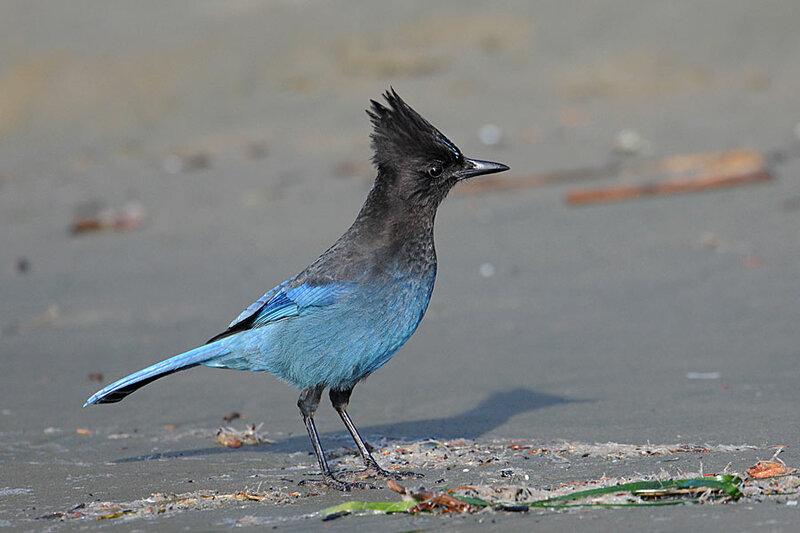 The blue jay (Cyanocitta cristata) and the western scrub-jay (Aphelocoma californica) are quite similar to the Steller's Jay, but neither are found near the British Columbia coast. 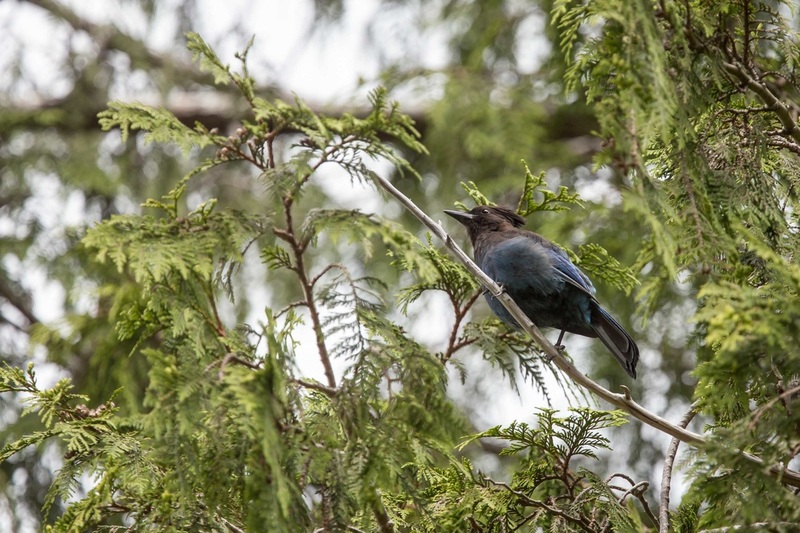 The Steller's jay is British Columbia's provincial bird. It plays an important role in dispersing Garry oak trees in the southern part of the BC coast by collecting and storing acorns, all the while moving them across the landscape. Dunn, J. L. and Alderfer, J. (Eds.). (2006). National Geographic Field Guide to the Birds of North America. (5th Ed.). Washington, D.C.: National Geographic Society. Pp. 320-321. Steller's Jay Cyanocitta stelleri. Audubon Birds. National Audubon Society. Accessed 06/08/2015. Steller's Jay (Cyanocitta stelleri). The Birds of North America Online (A. Poole, Ed.). Ithaca: Cornell Lab of Ornithology; Retrieved from the Birds of North America Online. Accessed 01/03/2013.